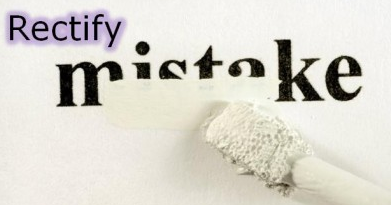 Mistakes or errors in original service tax return can be rectified with a revised return. After filling the revised service tax return, earlier mistakes and omissions get rectified and the revised return will replace the earlier original service tax return. As per ST rule 7B, revised service tax return has to be filled in form ST3, in triplicate, within 90 days from the date of filling original return. Please remember, 90 days will not be counted from the due date of original return filling. It will be considered from the date on which you have filled your original return. In cases where original service tax return is revised, the time limit for issue of show cause notice for recovery of service tax will be counted from the date when you have revised your service tax return and not from the date of original return. Revised service tax return in form ST3 can be submitted online by selecting “revise ST3” option after logging into your account in ACES. While filling your revised return you must fill NO for original return field and YES for revised return field. There is no provision in the act to file a revised service tax return after completion of 90 days time limit. If the online portal does not accept the revised return then the error or omission can be disclosed to superintendent with a letter. As restriction on number of revised return has not been mentioned in the act, its presumed that such service tax return can be revised any number of times i.e. after the first or second revision if you find any mistake then the same can also be revised. But such revision should be done within the stipulated time limit of 90 days. Such revision can also be done if original return is filled after the due date of return filling. 90 days time limit will start from the actual date of filling.